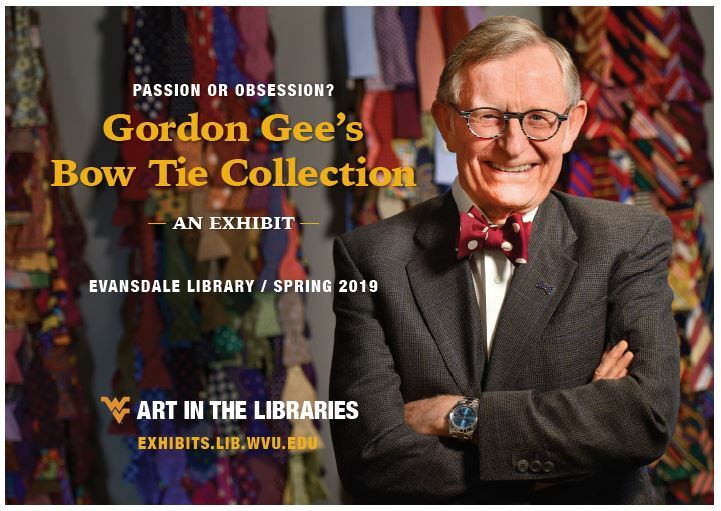 The WVU Art in the Libraries program developed the program, and Assistant Professor of Fashion Merchandising Elizabeth Shorrock’s spring 2019 class helped design this exhibition display. This exhibit initiates the start of a new series at Evansdale Library around community members’ personal collections. Do you know someone with a collection to share? Get in touch with WVU Libraries Exhibits Coordinator Sally Deskins, sbdeskins@mail.wvu.edu. More info: exhibits.lib.wvu.edu. Display stands provided by bowties.com and beautiesltd.com.